Today I was going to do a little post about a rare American earthworm that's three feet long, smells like lillies, and spits at anyone who comes too close. But then I found the picture above. Apparently, they have blue earthworms in some parts of Australia. Who knew? I am working on being able to change my appearance (without surgery) for example I can go from guy to girl to tomboy to girly-girl to gothic girl, to emo guy to sports dude to drama freak girl to naturalist to spy in a few hours! My friend lives in Australia (and China) so I'll have to tell her that. i want one....... i want one of everything tho sooooooooooooo ??? That thing is so thick around the middle! That's the big thing that surprised me. AWESOME!!! That is so.... BLUE! Cool! In the summer before we go on vacation to this cottage we rent (it's on a lake) we go "worming". If it rains, all the better. We do it in the dark and use flashlight to see the worms, then we grab them. I'm the "master wormer" LOL. We get the worms so we can fish BTW, it kinda sounded like we were just collecting worms for fun (which would be cool, but pointless.) I personally don't think it's gross, but one thing that IS gross is that we usually keep the worms in the refrigerator! (Talk to my dad about that....) =) Now you know all about worming! LOL! I wish we'd see blue worms though. I bet the fish would love that! I'll get an acount on friday. hahaha anyway..i really enjoyed talking to you and hearing what you had to say about the book you wrote-kiki strike! it was a cool experience! can't wait to read the third book! oh and i like how you have pictures in each of your blogs. they're very interesting to look at. hope you had a safe flight! byee! Hi I have blog! NOW! I finaly got an account! I used to be Anonymous, but now I have a account! Yeah! And IM, I agree, why is it so big around the middle! I don't think it's that gross, just weird. I acualy would like to see one! Yeah! The presentation was really really awesome! I am soooooooooo glad I went!!!! I finally got to meet you! Anonymous (M): Thanks! It was great to meet you, too. Thanks for the drawing. I put it on my wall. Milipitas Megan: Thanks to you, too, for helping out. I'm glad you got a t-shirt out of the deal! Rage: I'm checking it out after this! Mysterie: Great name! Thanks to you guys for driving so far. And make sure to send me a note for your t-shirt! 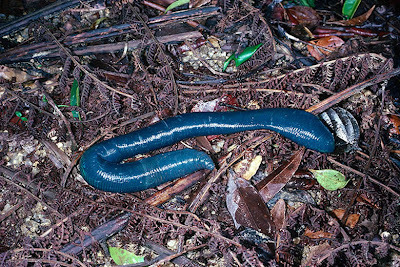 I'd much rather have blue earthworms than the hideous pink ones we get here. Pink ones are not hideous. Our opinion in this situation would be to like what is weirdest, which, in the current situation is a different color, thus, causing us to support the weird color in our own ways. How big is the one in the picture? does this one smell like forget me nots? BTW, my comments don't seem to get posted. its weird. what am i doing? anyway, this probably won't help, cuz it probably won't get posted, but watev. yes! my comment-above-got posted! kool! go squid + blue wurms! So cool! i love it i think ill get an account too Mysterie!